Madhya Pradesh (MP) GK Quiz No. 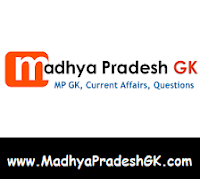 8 with Answers : Madhya Pradesh (MP) Samanya Gyan Quiz, Hindi GK Quiz Objective Questions with Answer for all competitive examination of MP State Government, MPPSC, MP Policem IBPS, SSC, BSF, Police Bharti, Teachers Exam, Admin services, State PSC, Bank, IBPS, CTET, MPTET and other examinations. This Madhya Pradesh (MP) GK Quiz or MK GK Sample Paper Question and Answers is based on MP SI Exam Paper 2012 held in previous years. Here is Sample Question Paper for all competitive examinations. Q.1 Where was the Jain Seer Lord Mahavira born? Q.2 Who was the first ‘Guru’ of the Sikhs? Q.3 Gaya district of Bihar is associated with the name of Mahatma Buddha In this district? Q.4 The ambitious road development project of India known as the ‘Golden Quadrangle Project’ will join four important places Which are these places? Q.5 The first Indian satellite was launched into space in 1975 What was it called? Q.6 Ashok Chakra is awarded for? Q.7 The Defence Research and Development Organization of India has developed a missile which can be launched from a submarine What is it named? Q.8 The ‘Param’ series of supercomputers was developed in India by which of the following institutions? Q.9 Food is cooked more quickly in pressure cooker because? Q.10 Optical fibres are hair-thin tubes of special glass and light can pass through them from end to end Their special property is that light continues to travel through them even when they are bent Which property of light underlies this phenomenon? MP GK in English quiz with solved answers has been updated. Great share. And this will be a great help for all of the students out there.